Contact one of our coaches if you have questions or would like some advice about gear. Interested in learning the game? This is for you! Teams are chosen prior to each game by coaches based on experience level and capability. 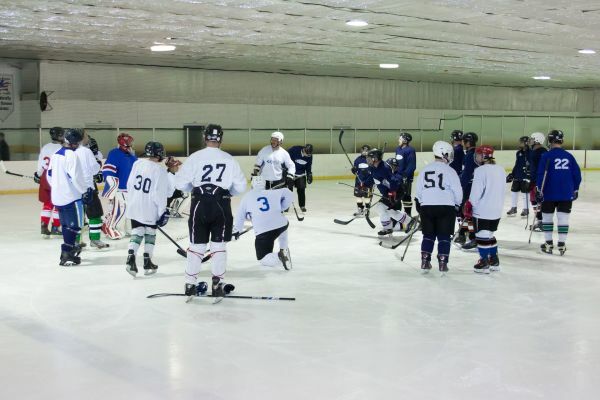 Each game is facilitated by an on-ice coach. Prior to the game, coaches facilitate a ‘warm-up’ drill. During the games, coaches may stop play to point out situations or opportunities. All instruction is provided by the VBHC coaching team. All players who sign up must register as a USA Hockey Player. Click the button below to sign up. Use the 'Ice Player and Coaches' link.